from a review by Bruce Willey, Good Times, Feb 21, 2002. 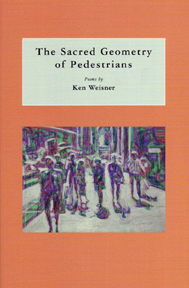 Ken Weisner is a poet, teacher, and editor living in Santa Cruz. For over fifteen years, Ken edited Quarry West, a literary journal published out of U.C. Santa Cruz, where he earned his PhD in American Literature in 1993. Ken also has degrees from Oberlin College and the Iowa Writers Workshop. He teaches English at De Anza College in addition to poetry writing through U.C. Extension. 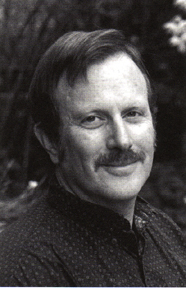 Ken is currently a contributing editor to Red Wheelbarrow, the De Anza College Literary Journal. Originally from Oakland, Ken is also a swimmer, softballista, French horn player, husband to pianist Kit Birskovitch, and father to two teenage boys.